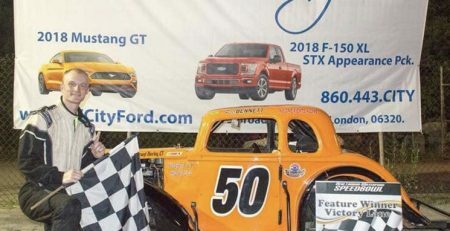 THOMPSON — Mike Christopher Jr. was so hot at the end of the 2018 Stafford Speedway season, he doesn’t want the story to end. 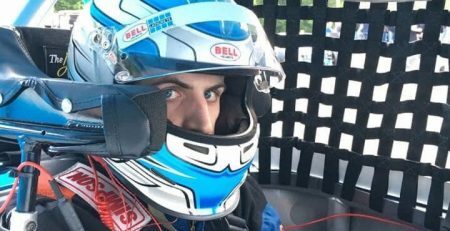 So he’ll be heading to the New London-Waterford Speedbowl for the first time this season to compete in the 80-lap SK Modified feature at The Finale which will take place Saturday and Sunday. There will be 15 divisions of race cars in action over the two days, including the SK Modifieds. Few drivers know how to pass in a Legends car more efficiently than Christopher does. In the 2014 season he racked up 25 victories on his way to both the Wednesday and Saturday Legends championship. Those 25 wins are a Speedbowl record for most wins in a season, breaking the old record of 24 set by Keith Rocco in 2013 and 2014. 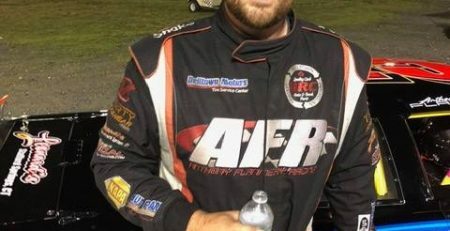 Christopher then shifted gears to the Modifieds at Stafford for the next four seasons. 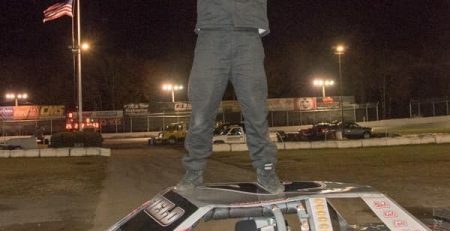 This season he was able to turn the corner in the Modifieds, driving a car formerly driven by his late uncle, the legendary Ted Christopher. Christopher posted four wins, including the last three races of the season to finish third in the standings. 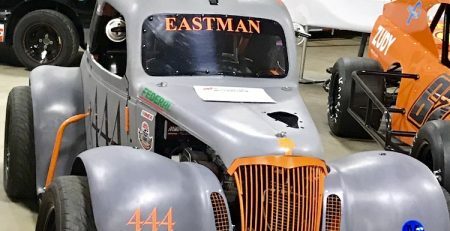 The car that Christopher ran at Thompson, however, wasn’t the same car he used for his three-race winning streak. He was driving the Stafford car he used the previous three years. He squeezed some dazzling results out of it, however. Christopher got into trouble trying to torpedo underneath the second place car, Ryan Preece, on the final lap and wound up finishing out of the Top 10. 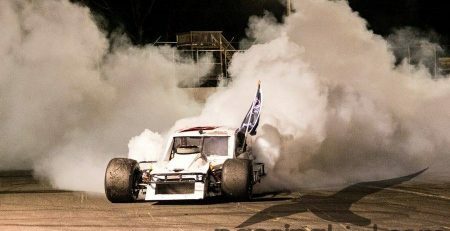 His Modified career at Waterford is limited to one race — filling in for Ted Christopher in the Doug DiPisa owned car No. 13. 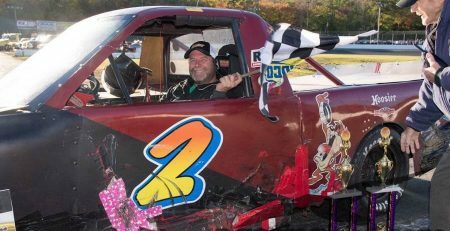 Christopher’ sponsors include Mohawk Northeast, Eagle Fence and Guardrail, Napraco and Craig Equipment Corp.
Christopher says he’s going to the Speedbowl for one reason — to win. Sunday’s SK feature promises to be the most competitive of the season. 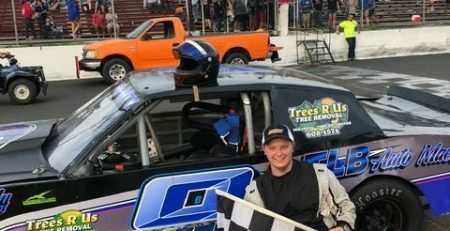 Bryan Narducci, NASCAR’s Division III champion, will be driving a car Todd Owen has driven all year at Stafford Motor Speedway. The newcomers will be taking on the Speedbowl regulars, led by point leader Kyle James, Todd Own and Rob Janovic, who are tied for second, Andrew Molleur and Matt Galko. The CT Pro 4 Modified championship could go down to the final turn of the final lap when its feature takes place Saturday. Brett Meservey leads the leads the way with 254 points, but isn’t expected to attend the Finale. Randy Cabral has 252 points in second, while Doug Merservey has 233. P.J. Peters has wrapped up the Lite Division with 312 points.